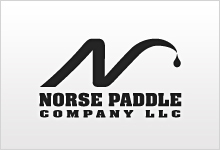 Norse paddles were made in PA from 1969 to 2001. Production stopped when the previous owner dedicated his all of his resources to a new product, saddlebags for motorcycles. 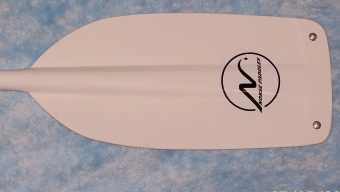 Any of our paddle blade shapes and shafts may be combined together to create your paddle how you would like it.We would be happy to construct a paddle to your specifications. The standard Norse paddle shaft is manufactured using a proprietary process of compression molding epoxy/Dynel/durable film to a 6061-T6 seanless aluminum shaft.This creates a very strong shaft with good flex return and superior surface wear resistance.Available in .049" heavy duty wall or .035" regular duty wall. Also shafts are available in strong and flexible fiberglass "skypole".Fiberglass allows flex in the shaft for less fatigue to the paddle and paddler.More forgiving on the big water hits!